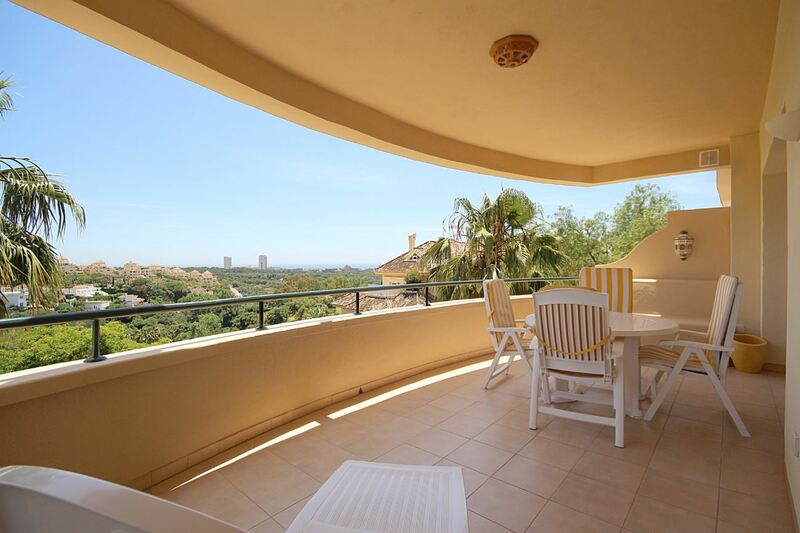 Lovely south east facing apartment, with stunning panoramic views of Elviria and the sea from its private covert terrace. Located in the sought-after Elviria Hills spectacular complex boasting 32.000m2 of parkland with several outdoor swimming pools, near Green Life Golf, El Lago Restaurant and the village of Elviria. Its convenient situation and its magnificent open views make this property an ideal choice to spend your holidays enjoying Elvirias superb weather.